Stains grow and spread by the law of accretion through attraction, meaning that similar substances are drawn to each other, and bond together as one. To see this law at work -- even in our own coffee cup -- is to see all negative thoughts and feelings for what they are: a source of foulness that, if left to breed in the darkness of an unattended mind, becomes a stain that first soils, and then spoils the life of our Soul. Do you remember the opening lyric to the classic song "Love and Marriage?" If not, allow me to refresh your memory: "Love and marriage go together like a horse and carriage." Along with its memorable melody, this particular song has endured the test of time because hidden in the heart of its simple lyric is a celestial law about the power of attraction. If you recall, the rest of the lyric goes on to say: "This I'll tell you brother, you can't have one without the other." This innocent line, "you can't have one without the other," expresses, in earthly terms, the powerful cosmic principle of the law of attraction. We've all heard similar ideas before that express this same principle in different terms. Remember the tried and true sayings "birds of a feather flock together" and "like attracts like?" This lyric, "you can't have one without the other," tells us that everything, from feathered creatures to heavenly forces, has a specific essence that draws to it those elements that are like itself. The value of knowing about the law of attraction is putting it into practice in our everyday life in order to realize the celestial one. So let's begin with a common emotional or mental quality that is particularly valuable to us -- clarity. Clarity is vital in everything we do. Now, when you think about the importance of being clear in your communications or choices, you can see that there are benefits you receive, either as a result of being personally clear on some issue or from someone else being clear with you -- such as increased efficiency that translates into greater productivity. There is also a decisiveness you find when things are clear. How about confidence, purpose, and casualness? One attracts the other. In fact, we can't have one without the other. Which means further that just as all forms of clarity are connected to a certain calmness, so is the opposite of clarity connected to constant conflict. Can you have a casual, confident manner about yourself in an important meeting if you're unclear as to why you're there? Or would you be nervous and on edge the whole time? If we can see, in fact, how positive inner states lead to positive life experiences, then we can also see that negative inner states must attract negative results. Shedding light on this dark cycle will help us see into a totally unsuspected source of self-compromise. Whenever things are confused in our mind or heart, we'll also find within us hesitancy, doubt, and fear. Taking the law of attraction through a simple progression reveals that once we're in the hands of one of these shaky inner states that consort with confusion -- such as anxiety -- what else can we hope to attract but other attending negative states -- such as tension and irritability? These brusque emotions are brothers to impatience, whose sister is intolerance, which gives birth to cruelty and hatred. Our new knowledge is indisputable. It shows us that we can only expect darkness if we cloak ourselves in shadows. The lesson is clear: one attracts the other because, in reality, one is the other. Fire doesn't attract smoke. Smoldering is to burning what anger is to hatred and violence. Which brings us to the principal point of our study. There can be no compromise, none, with any conflict or negative state within ourselves. We must resolve to never again go along with, or agree to, any mental or emotional state of negativity. Our sole responsibility is to be willing to stand in the right inner place. Only there can the higher laws of attraction do for us what we've been unable to do for ourselves: separate who we really are from what we are not. 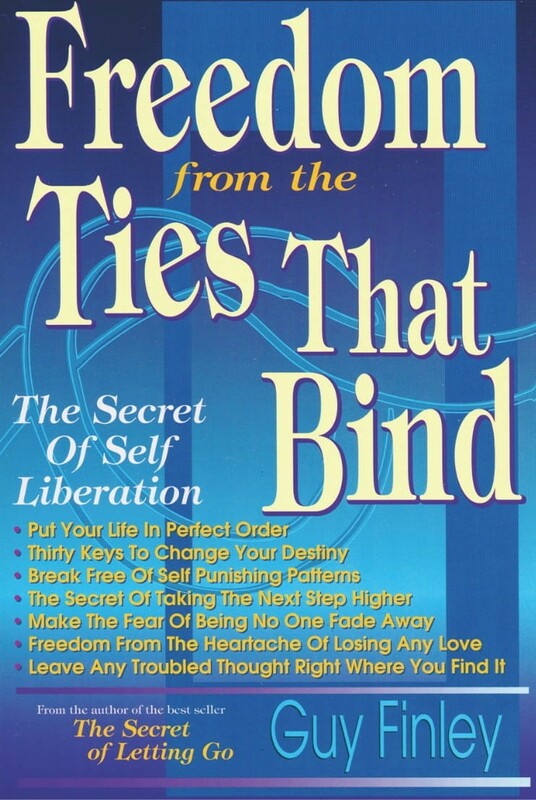 Excerpted From: Freedom From the Ties That Bind, pages 118-122.